While the smart doorbell category is still in its infancy, we’ve already seen a number of shining stars light the way. Our current favorite, Nest Hello, is an indulgent treat, offering top-tier features, design and performance at a top-tier price. 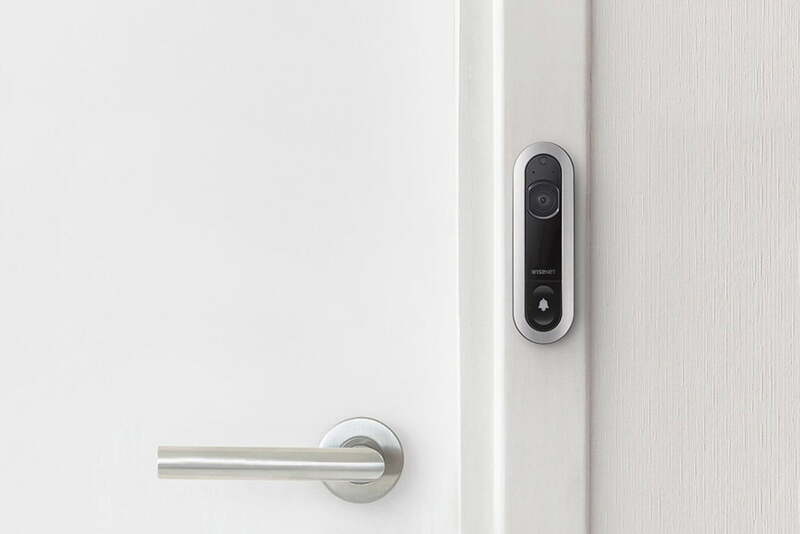 While not quite hitting the same highs, Ring Video Doorbell 2 and August Doorbell Cam Pro are certainly both serious contenders. All three smart home specialists need to be on their game, however, as the inevitable flood of competitors roll off production lines. The $229 Wisenet SmartCam D1 Video Doorbell is the latest challenger, seeking to smarten-up the nation’s porches. The brand may not be familiar, but the company formerly known as Samsung Techwin has a solid reputation. 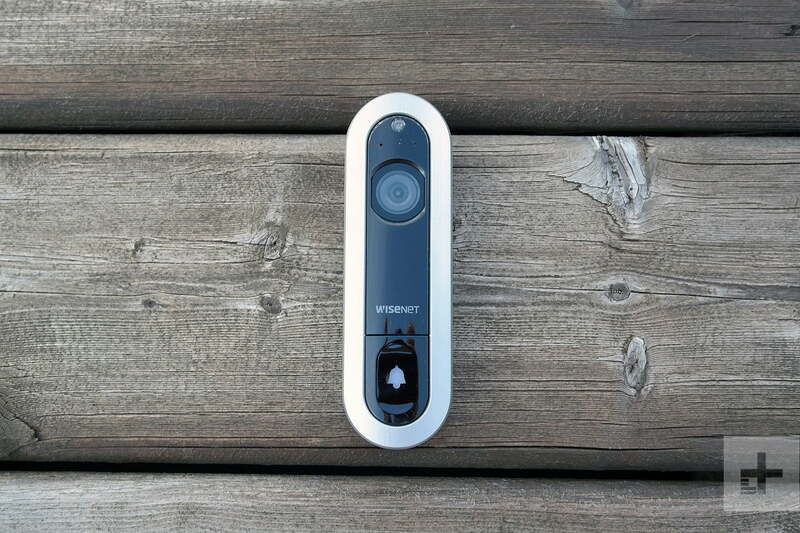 Over the last few years, it’s released a variety of good-quality, mid-priced smart cameras that have been solid picks for homes and businesses alike. We were expecting the company’s debut doorbell to be similarly sold below the asking price of category-defining starlets like the $229 Nest Hello, but with price parity, the SmartCam D1 has a lot to live up to. 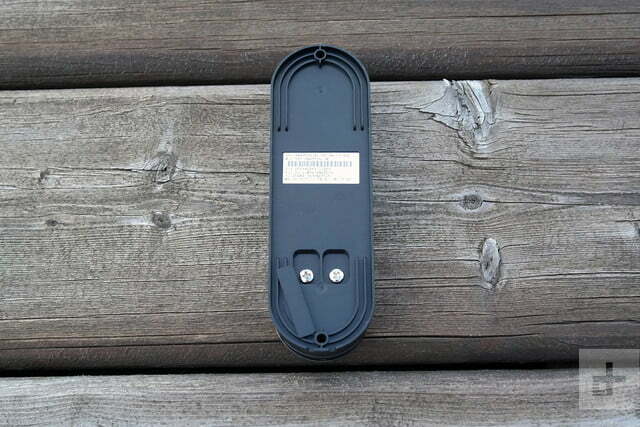 Like competitors, this device is designed for homes with a wired, 16-24 VAC door chime (check your hallway for a small dinging box when your doorbell is pressed). There’s a little rewiring involved, but nothing trickier than those Radio Shack electronics projects of yesteryear. A comprehensive installation kit includes everything you need to get up and running, including a drill bit, screwdriver and friendly step-by-step instructions. We swapped out our basic, wired doorbell in less than 30 minutes, but two issues caused frustration. First, we were unable to configure the doorbell using an Android phone — though supported, the camera refused a Wi-Fi Direct connection. Installation with iOS, meanwhile, was fine. Second, once hooked-up, our mechanical doorbell initially refused to chime. After careful checking of our cabling, we discovered that the Wisenet app secretly disables the chime by default. An imperfect introduction, to say the least. 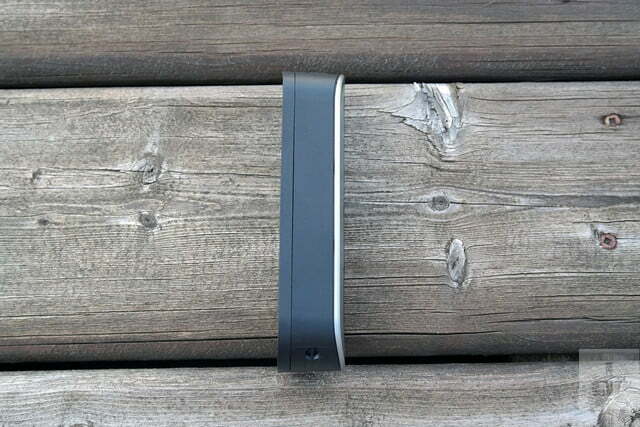 The SmartCam D1 is slim enough to fit on a front door frame and has interchangeable faces that infer a touch of quality. What the hardware saves in width, it gains in height – at 5 inches, Wisenet’s is taller than Nest Hello, and black plastic bezel means it stands out a little more than we’d like. Depending on your house construction, it’s less problematic to position than the square August Doorbell Cam Pro, but we prefer the compact, understated quality of Nest Hello. Let’s talk imaging. High-definition images are bright and vivid, if a little too crisp, but a wide 150-degree field of vision supports generous views across the porch. If you have sufficient network bandwidth, you’ll want to step up from the default, low quality resolution setting to enjoy the doorbell’s best views. Need a tweak? Wisenet includes manual brightness settings, wide dynamic range and lens distortion reduction to optimize image quality. 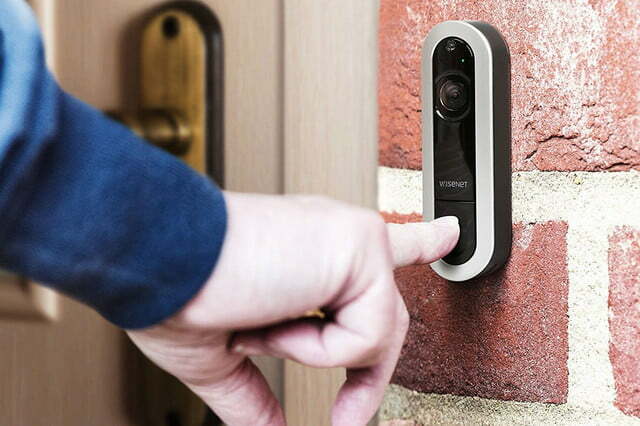 However, our initially positive impressions of the doorbell took a dip, with frequent Wi-Fi quality issues and dropouts, which reduced live streaming quality and introduced up to 30-seconds lag. 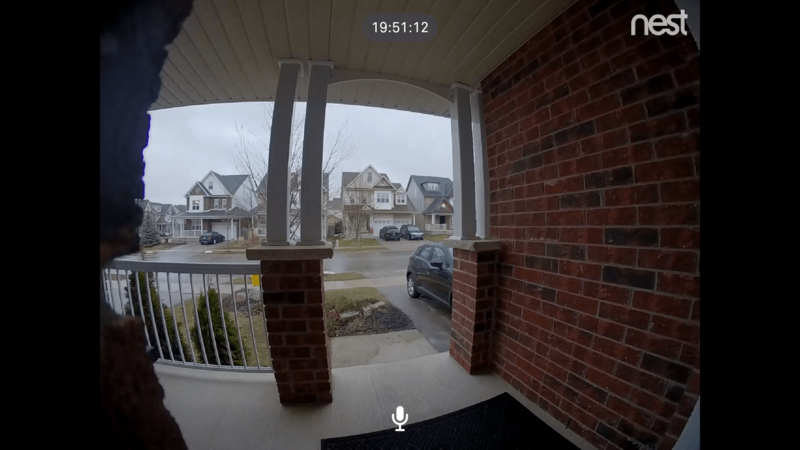 It’s not the first doorbell that’s experienced network issues in our brick-faced review house – the August Doorbell Cam Pro seemed unwilling to maintain a strong connection in the same position. However, we’ve experienced no issues whatsoever with Nest Hello, which supports the faster 802.11ac standard. As ever, when it comes to home networking, much depends on your home construction and access point locations, but on a like-for-like basis, the Wisenet SmartCam D1 failed to impress. Our initially positive impressions of the doorbell took a dip with frequent Wi-Fi quality issues. We found the D1’s facial recognition to be reasonably effective, but it lacked the speed and intelligence of Nest Hello. In side-by-side tests, Nest’s doorbell was able to fire a notification identifying the person approaching the door and ringing the bell, while the SmartCam D1 could only offer a timely, but vaguely-written “Human Detection Alert.” Jumping into the app, we could see that Wisenet’s doorbell had matched the face to one previously registered, but it failed to make the necessary connections in time to display a registered name on the notification. The absence of smart assistant integration – for Amazon Alexa, Google Assistant or other players – is also a miss. If you have Amazon Echo or Google Home devices dotted around the home, having them announce visitors can be a real convenience, but at this point, it’s not available on the SmartCam D1. Fingers crossed that’s addressed in a future update. It’s not all bad news, however. Two-way communication audio via the D1’s capable microphone and speaker was clear at both ends, while the Wisenet SmartCam app is both attractive and easy to navigate. Up to three motion detection zones can be quickly defined in a just a few taps, reducing the possibility of false alerts. Locating and reviewing captured clips in the cloud is a cinch, with clear segmentation and search filters allowing you to quickly pinpoint events based on their trigger. Regular readers may have already guessed that cloud recording and motion detection zones are supported on a subscription-only basis, with a $5 monthly Starter Plan offering access to activity from the last 30-days. A 15-day free trial is available for testing. The Wisenet SmartCam D1 Video Doorbell is protected by a one-year warranty covering defects in materials and operation. 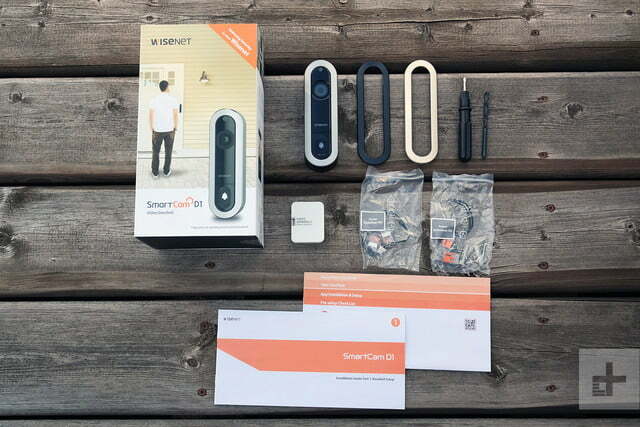 The Wisenet SmartCam D1 is a brave attempt to take on established players in the smart doorbell market, and while it looks good and offers some advanced features, it fails to offer the quality, reliability and performance we expect at this price. Nest Hello ($229) is the same price as the Wisenet SmartCam D1 and offers better performance, more features and a smaller form factor. If you’re seeking a fully wireless solution, the Arbor Video Doorbell has a few quirks, but is worth a look. Backed by parent company Hanwha Techwin America, you should expect the Wisenet SmartCam D1 to be supported with firmware and app updates. For support queries, the company offers web and telephone support in North America. If it were priced $50 cheaper, the Wisenet SmartCam D1 would be a capable, if compromised, challenger to smart home leaders like Nest, August and Ring. At $229, Wisenet has pitched the D1 firmly at the top of the market, and unfortunately, it comes up short against the best. While there’s much to admire – a slim form factor, bright, vivid imaging, smart notification and simple usage, the device is held back by patchy wireless connectivity and a lack of third-party integrations. At this point, if you’re happy to spend top-dollar on the best smart doorbell around, you should look elsewhere.